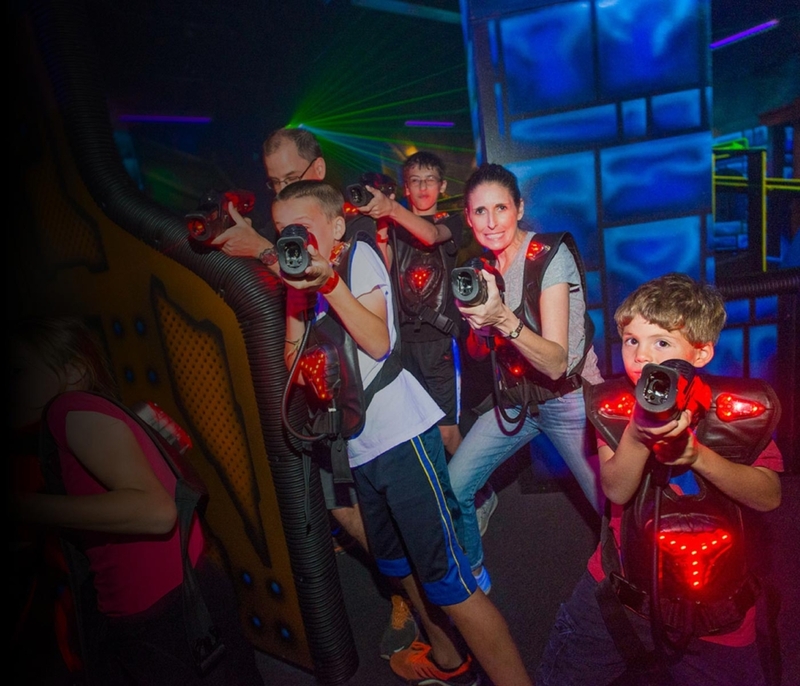 Suit up in a vest and grab your phaser to start a laser tag adventure with your friends and family. Our custom designed arena features a second-story mezzanine. Kids and adults of all ages will enjoy this challenging and entertaining game that allows them to escape a fantasy world of fun. Once time runs out, see how you scored compared to the other players. Do you have what it takes to be victorious?